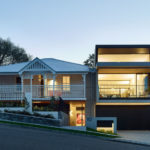 Rob Mills of RMA has recently completed the Ocean House, a beach house that he designed for his family and friends. 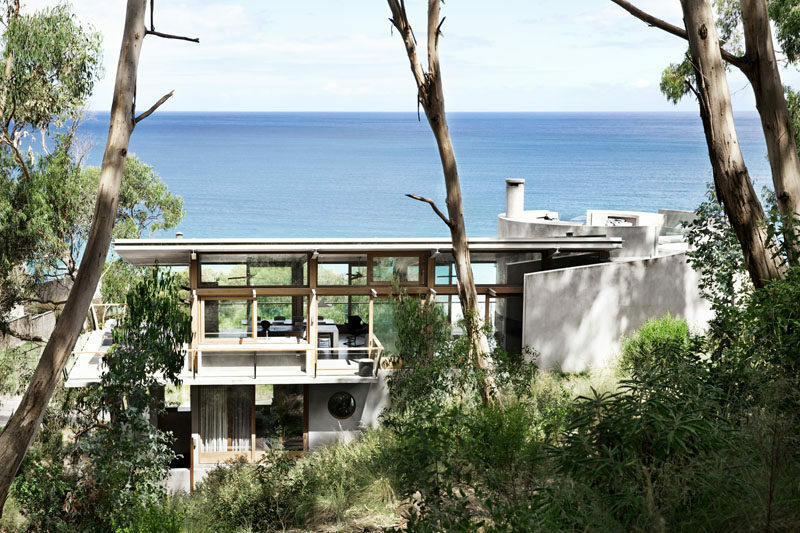 Located on a steep slope overlooking the Great Ocean Road in Australia, the house combines wood and concrete in a contemporary way. 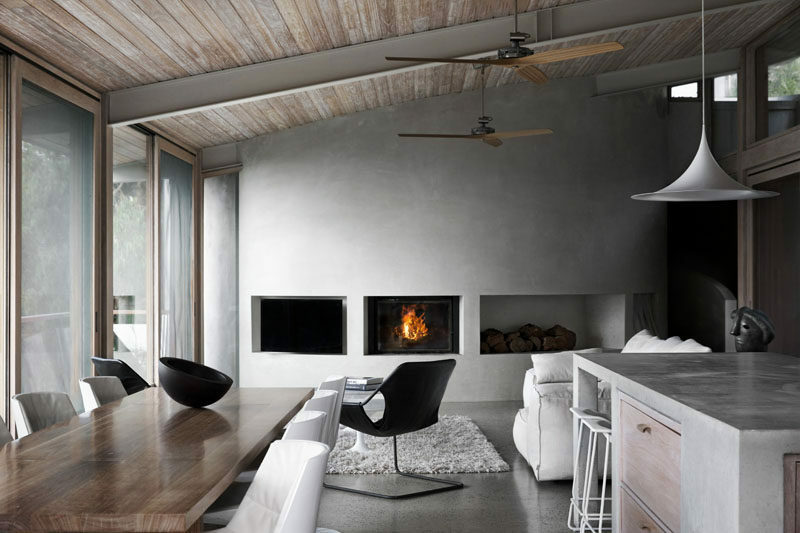 In the living room, a curved concrete wall has built-in areas for a television, fireplace, and wood storage. 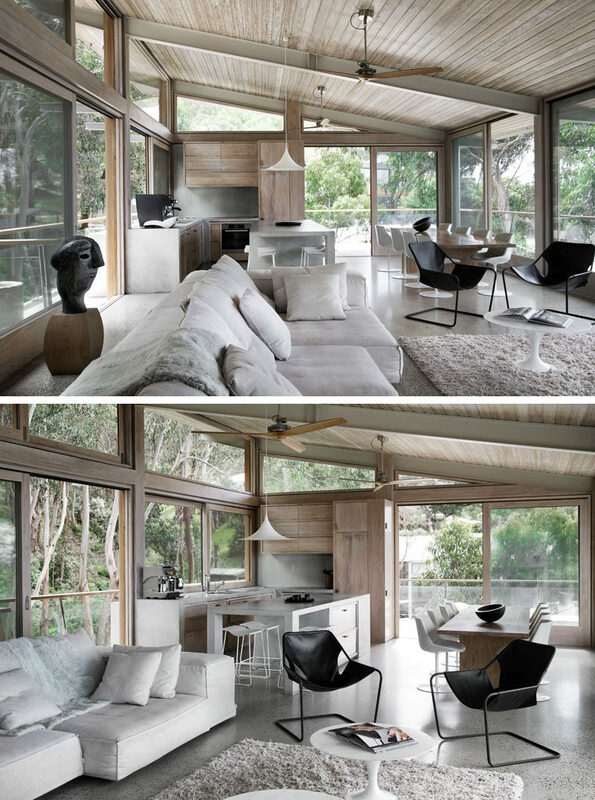 The living room opens to the open plan dining room and kitchen. 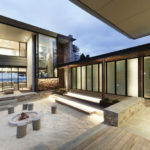 A sloped wood adds a natural warmth to the interior, while floor-to-ceiling windows capture the view of the surrounding trees. 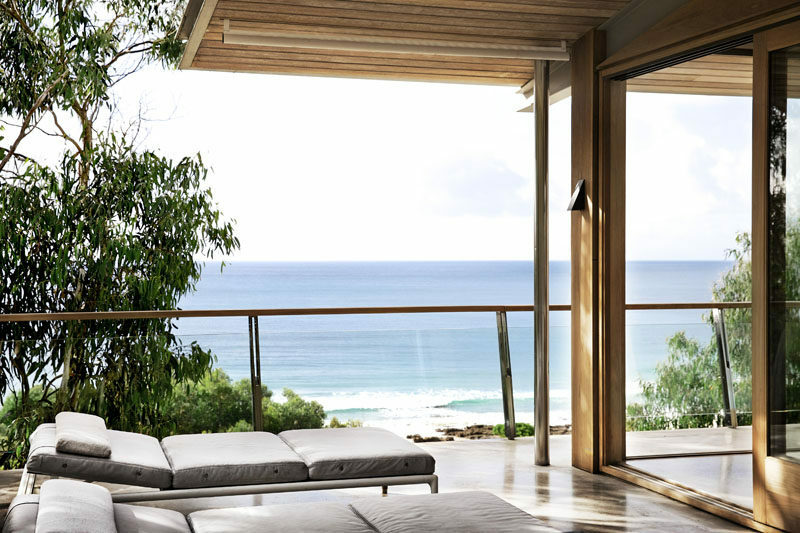 The social areas of the house open to a balcony that shows off the ocean views. 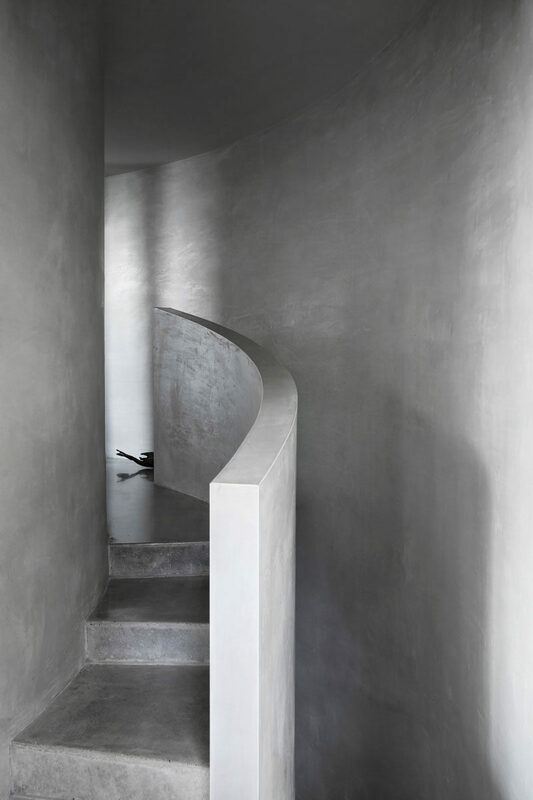 Rob Mills collaborated with concrete specialist Paul Andrews for the concrete details throughout the house, like the curved stairs that connect the various levels. 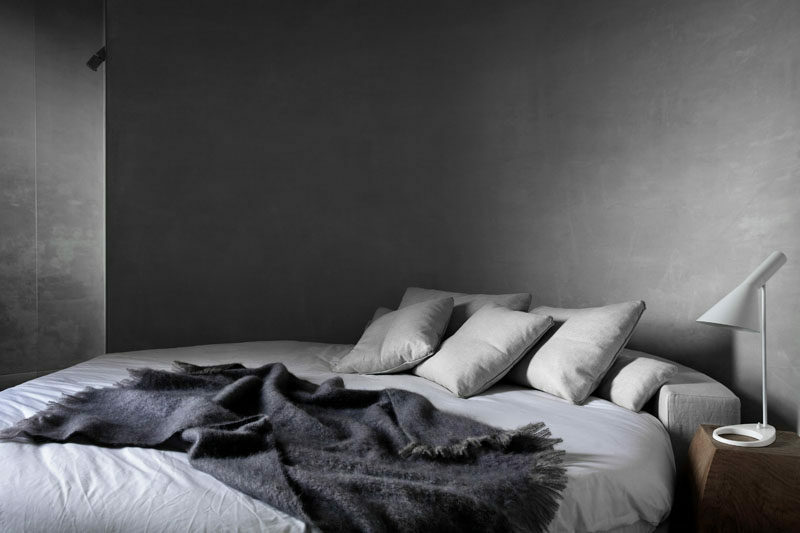 In one of the bedrooms, a curved bed reflects the curved concrete wall. 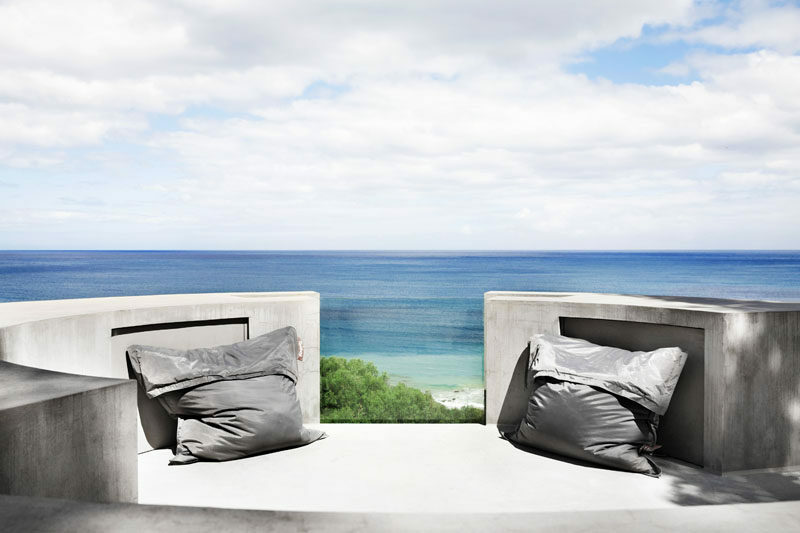 On the rooftop, there’s yet more curved concrete, this time in the form of a seating area that’s furnished with large outdoor cushions.